Outdoor warning siren, which is also known as the weather siren or tornado siren, is one of the most popular and effective methods to communicate during dangerous weather situations. The climate experts have researched a lot for this kind of specific equipment. It helps to communicate well in any kind of dangerous climate issue and some other emergencies as well. It is true across the entire world and particularly so in the tornado-prone states such as Oklahoma, Nebraska, Kansas, South Dakota, and Iowa. Apart from these places only, the experts out there are trying to install this specific equipment in as many places as they can. Along with the various financing choices accessible containing U.S. Homeland Security Grants and U.S.D.A. grants, the time to obtain the tornado siren for your community has never been better. There are plenty of places, which have the highest risk for tornado activity and the climate researchers and analysts research upon that factor and install outdoor weather sirens. Outdoor warning sirens are used merely to alert the residents who may be outdoors when the National Weather Service issues a Tornado Warning, the plausible source also reports the funnel cloud or even the chemical emergency has occurred, and the shelter-in-place order has been released. The weather sirens are not intended to alert the people indoors. This is highly suggested that each and every residence, business, school, and church have the NOAA All-Hazard Radio, which will mechanically activate during severe weather and then also hazardous materials events. Text and e-mail alerts are also accessible right through the National Weather Service and other major media outlets. Why do you need the Outdoor Warning Sirens? In recent times, along with municipal budgets tightening, people out there often hear the question, “Don’t people track storms on television or their cell phones? So, the experts have been using this siren for over a century now. Things have changed certainly, and the actual requirement for the authentic outdoor warning sirens has just grown. In the event of the emergency, severe storm, or even the tornado, sirens offer the alerts even when the electricity goes out, and cellular towers go out of service. In a lot of situations, the weather siren works along with the television or text alerts to reinforce the requirement to take precautions. In the event of the serious event along with electrical and cellular disruption, your tornado siren might be the only alert keeping your community safe. When you are researching what type of siren system best suits your community’s requirements, you will certainly hear a lot of technical jargon that, at first glance, might not seem like this makes much of a difference. There is one of the Omni-directional sirens versus rotational sirens available. Every Sentry outdoor warning siren is Omni-directional. It also means that the siren is full decibel output is directed 360 degrees around the siren, all the time. There are no certain gaps in coverage; no blank spots only full decibel output, all the time. To visualize the superior, time-tested design, each and every engineer out there has even put together an animated demonstration of this occurrence. Amongst all the outdoor weather sirens, the rotating siren does only what the name implies. This just rotates on the axis as well. It also directs the sound away from the source. Siren coverage areas are usually calculated by specifying the radius around a center point, where the siren is located. One of the major issues along with the rotational sirens is that the siren is covering only one section of the circle around the siren is full-decibel output at any given time. Sound waves are extremely directional, so the only area that will be covered by the siren is a certain area directly in front of the siren when it is activated. Which Outdoor Warning Siren meets the requirements? 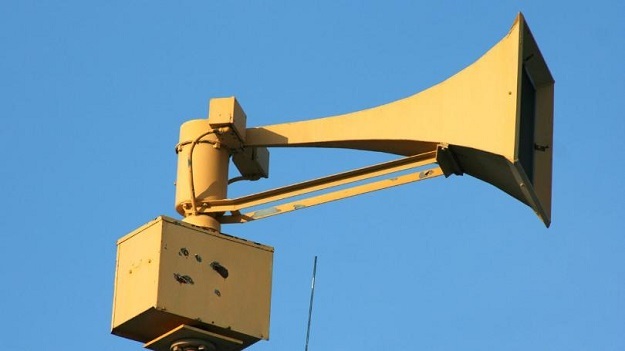 When it comes to the weather siren, you can simply choose the Sentry Siren. A lot of people out there know about the sentry siren. People also know that each community’s requirements and budgets are quite different. There is the team of highly trained and also experienced technicians who provide the siren system design to make certain that you get exactly the right product. They simply provide an extensive range of products and can assist you in designing a particular system that reaches each and every individual in your community and stays within your budget. A lot of municipalities know they need the tornado siren or even the comprehensive outdoor warning system, but find the view of digging holes and installing unfamiliar equipment daunting. They provide the custom installation for any of the outdoor warning sirens. The engineers also warranty and guarantee the work their licensed and certified crews do.